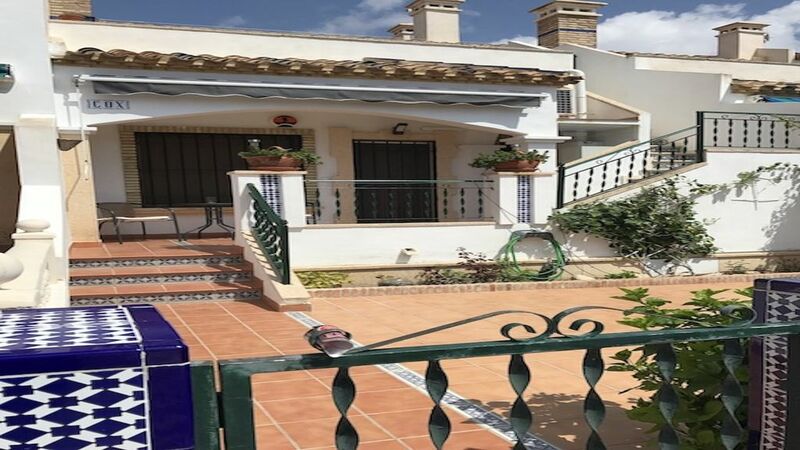 Beautiful bungalow Lola located in a popular area of ​​Pau 8 in Villamartin. A quiet area and within walking distance of the Villamartin square and golf course and 10 minutes drive from the beaches of Orihuela Costa. The accommodation consists of living / dining room with fireplace, kitchen and laundry room, family bathroom, master bedroom with bathroom with shower, second double bedroom. Outside there is a back garden and a front terrace and private patio. There is also a solarium with outdoor furniture and barbecue area. There is air conditioning in the living room, and a ceiling fan in the second bedroom. Also electric wall heaters throughout the property. There's Internet.